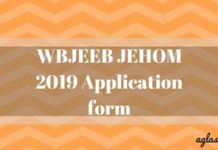 WBJEEB JEHOM Admit Card 2018 has issued on June 14, 2018. Each and every WJBEEB JEHOM 2018 aspirant has issued electronically generated hall tickets as part of the completion of successful registration. It is issued by West Bengal Joint Entrance Examinations Board. 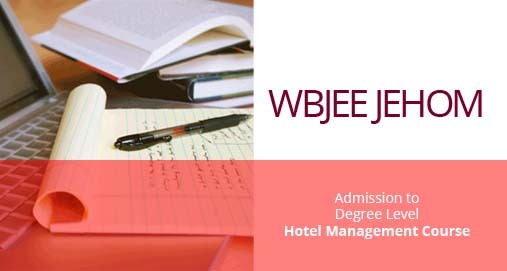 Electronically generated implies that no candidate issued admit cards through post/ courier/ mail medium, but online, on your candidate login account, to access which, you shall require your Application Number and Date of Birth uploaded on the official website at wbjeeb.in. When you download the admission ticket, please check details like Name, Date of Birth, Gender, Category, Test Centre Name, Paste Picture, Date and Time of examination etc. If possible, look for the allotted center through google maps. The board also issued a list of candidates to whom the admit cards are issued. Further, admit cards are not be generated for those who do not upload scanned images of their photograph/signature/thumb impression as prescribed manner. The crucial dates for JEHOM 2018 are as given below. 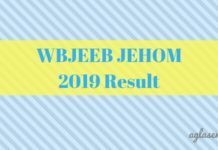 Download Admit Card: Click here to download WBJEEB JEHOM Admit Card 2018. The hall ticket shall inform you about details such as:- Name, Gender, Date of Birth, Date and Time of examination, Category, Test Centre Name. Make sure that you reach the venue at least 30 minutes before to complete exam formalities if there are to be done any. You are strictly advised to cooperate with the officials. If a candidate needs a duplicate admit card after the examination, the same can be provided by the Board, but only till 31/07/2018. In order to get a duplicate admit card, the candidate has to apply to the Board and pay a processing fee of Rs. 500/- by a bank draft in the name of “West Bengal Joint Entrance Examinations Board” payable in Kolkata. What should be carried to the test center? During online application, the candidate has to choose any 2 (two) of the following examination zones. All the candidates shall take utmost care while submitting the online application. Request for change of test paper will not be entertained. 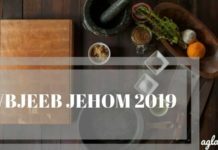 The WJBEEB JEHOM 2018 will be conducted offline and the candidates willing to appear are requested to get acquainted with the pattern. All the photographs submitted with the application must be exactly identical. Otherwise, candidates will not be permitted into the examination hall. Candidates are not permitted to enter or leave the examination hall at the scheduled time of the examination. It shall be the responsibility of the candidates to ensure that they are answering the correct Question Paper of the branch for which they are eligible for admission. Any malpractice case will be dealt strictly. Number of questions- 50 multiple choice type questions.